I cannot express enough what a great job Jeremy and his team did to make my wedding reception an absolute success. The food was amazing and the service staff was outstanding. To top all of that the prices were much better than other catering bids that we received. 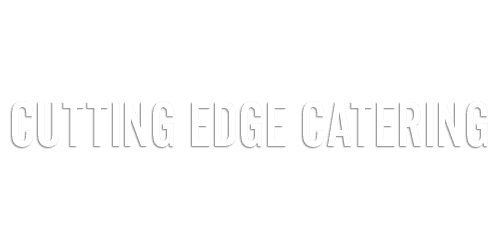 You should definitely hire Cutting Edge Catering to cater your event. It will be one thing that you do not have to worry about for your event. We had them cater our wedding. We loved it. Our guests loved it. Jeremy and his crew were easy to work with, they really cared for the night as a whole and felt like they were part of the party, and it was good, quality food and service. Highly recommend. Sooo good! Jeremy and Chef Chris are so nice to work with. Their care shows from the first time you meet to the night of actual service. I got to attend a tasting of their food in addition to eating at some events they catered, and was shocked to actually enjoy some foods I normally avoid (asparagus, steamed veggies, fish). Also, normally I don't look forward to wedding food because the chicken is usually dry and all of it's normally bland. Not only did it taste great, but being one of the last people through a big buffet line somehow the chicken was perfectly moist (and most importantly, still warm). Servers were really nice too. Jeremy and his team did an amazing job in catering our leadership training dinner. They went above and beyond to make sure we had everything we needed. When it came to budget they worked to make sure we got everything we wanted, all while staying within our budget. The team was super friendly and a pleasure to work with, and the food was delicious! We will be using them again this summer for one of our events! If you are looking for top of the line food and catering service then Cutting Edge Catering is your place. Look no further! The cost is affordable, the food is absolutely phenomenal and the service is excellent!